The church was quite old, in fact, Joe said, “It was a landmark” and in time they decided to build a new one. When the new church came up, the tree needed to come down. Everyone was sad that the Angel Tree would be no more. The plan was to use the tree for logs, After the tree was down they went to saw into it to make boards. It wasn’t long before they hit a square nail. After hitting a second one, the man was afraid to cut into the wood. 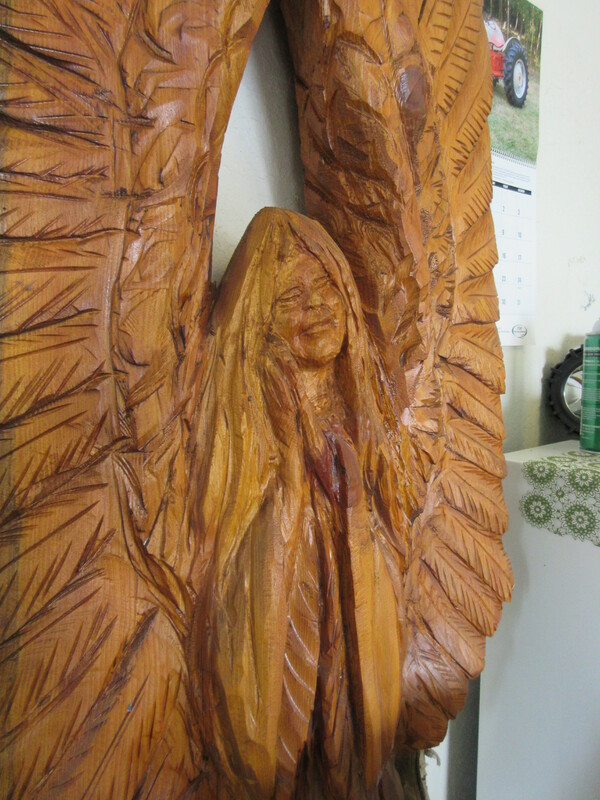 Joe is sure the nails were embedded back in the 1890’s for a reason, and that reason was so that someday this Angel Tree could continue to serve it’s purpose as angels among us. 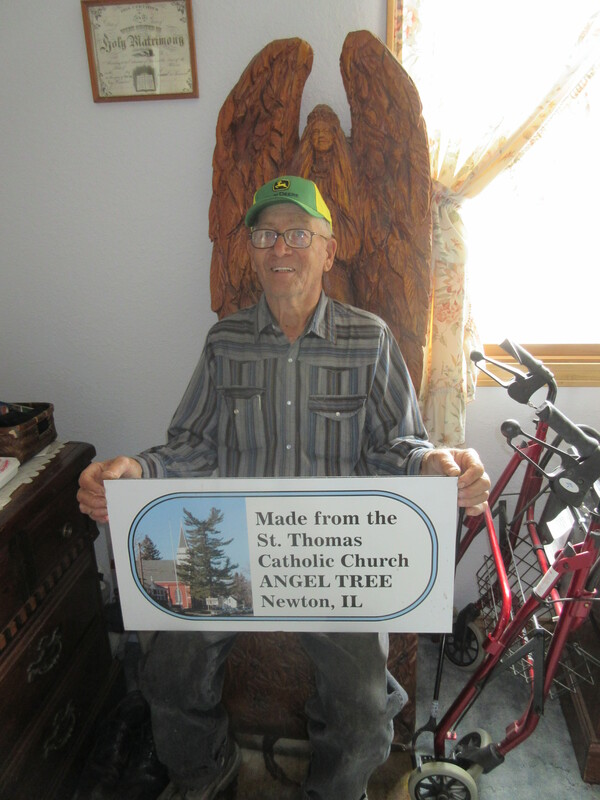 After his angels were made, Joe had 200 small angels created that he has been giving away. My friend Jane Elliott and I were recently at Joe’s plow day and he gave us one. “Can’t we give you something for this?” we asked. I took my angel home and have it in my kitchen above my sink as a reminder that God and his Angels are watching over me and my family and you never know when and where you will find angels among us! Previous Post: Cooking Class Comes Home II – Pasta feeling a little Italian coming on.